Customers from Uzbekistan have purchased our JB30R diesel concrete mixer pump recently. They are extremely satisfied with our mixer pump and our service. 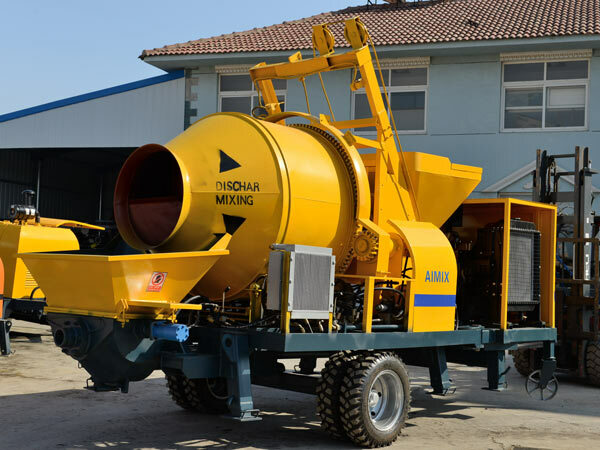 Aimix JB30R diesel concrete mixer pump can mix and pump concrete evenly and efficiently to any needed places, which is very convenient and helpful for concrete pumping works. We also provide other types of mixer pumps for sale like electric mixer pump, which is also very popular. In addition, electric and diesel concrete pump are also our hot models, and welcome to E-mail us to get a free quote.